(left to right) Frank Cahill of the Parsippany Area Chamber of Commerce, Nicolas Limanov of the Chamber of Commerce, Zufall Health President and CEO Eva Turbiner, Parsippany Council Vice President Robert J. Peluso, NewBridge CEO Robert Parker, and Tom Williams of the Parsippany Economic Development Committee cut the ceremonial ribbon at the NewBridge Parsippany Center open house. 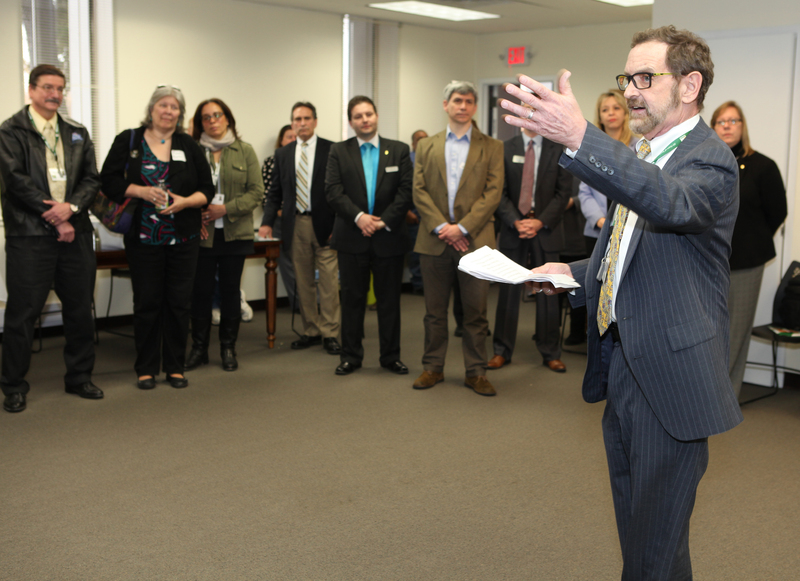 NewBridge CEO Robert Parker (left) welcomes local business leaders, government leaders and members of the public to the open house at the NewBridge Parsippany Center. 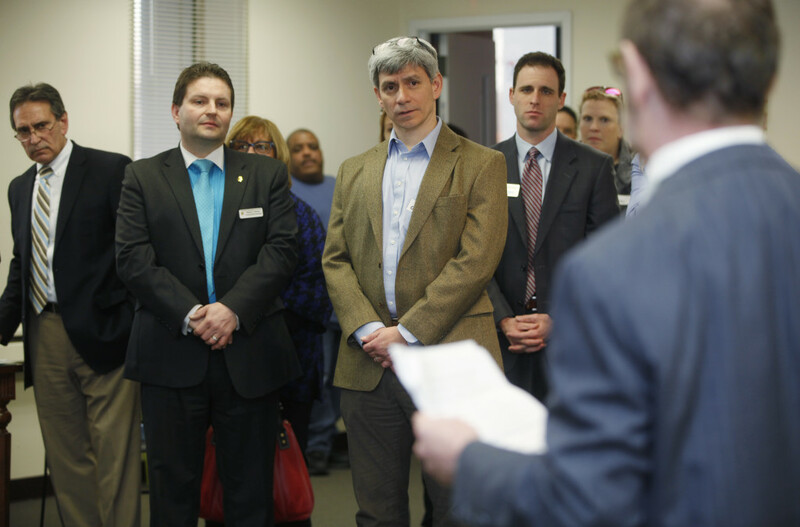 Attendees listen to NewBridge CEO Robert Parker speak at the NewBridge Parsippany Center open house. The 15,320 square-foot-center provides mental health counseling, educational services, addiction treatment and wellness programs for the community. 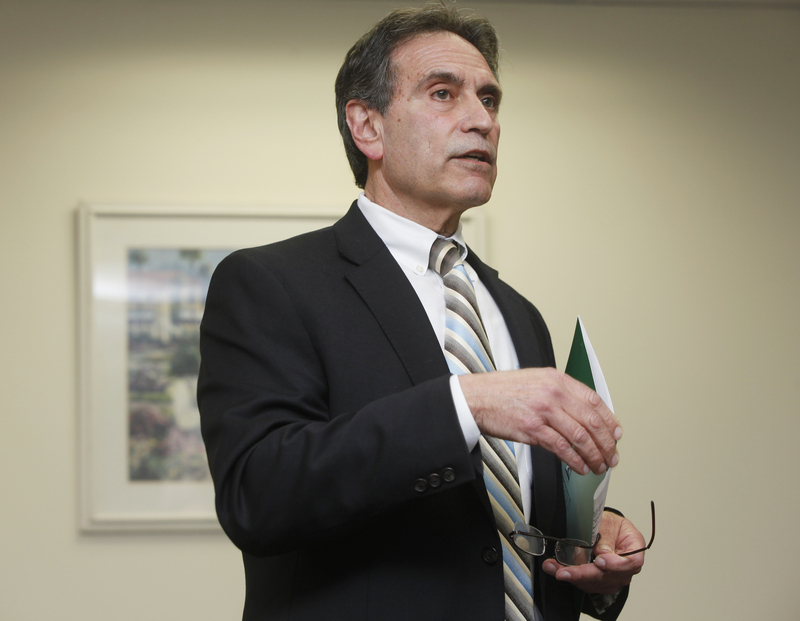 Mario Cardinale, interim superintendent of the Bloomingdale school district, speaks at the NewBridge Parsippany Center open house. 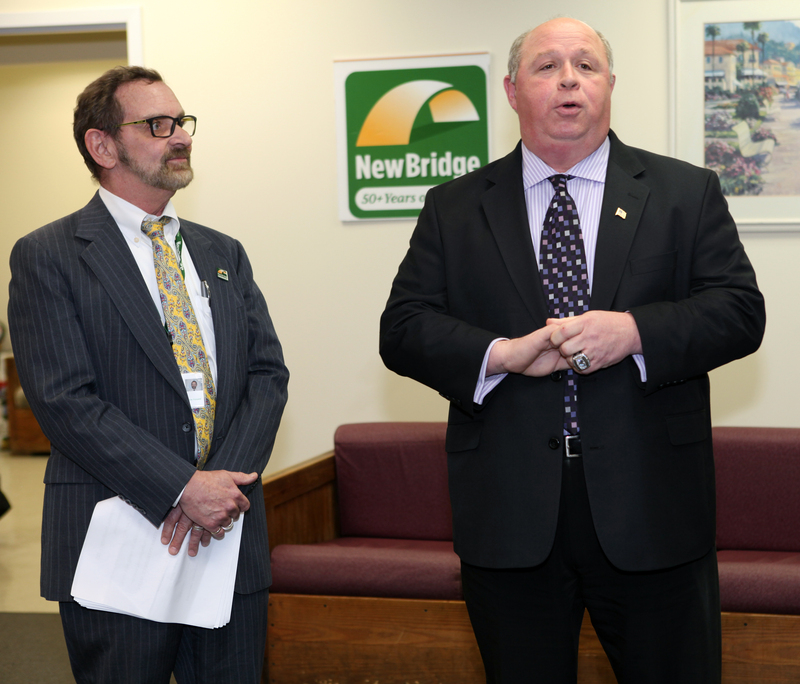 Mayor James R. Barberio spoke at the NewBridge Parsippany Center open house. The 15,320 square-foot-center provides mental health counseling, educational services, addiction treatment and wellness programs for the community. 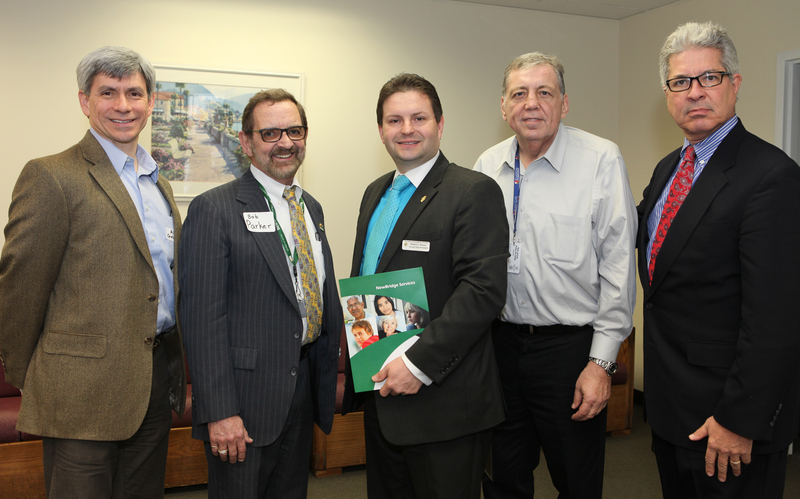 (left to right) Alan S. Golub joined NewBridge CEO Robert Parker, Robert J. Peluso, the Council Vice President of the Twp. of Parsippany Troy Hills, Frank Cahill, of the Parsippany Area Chamber of Commerce, and Tom Williams. 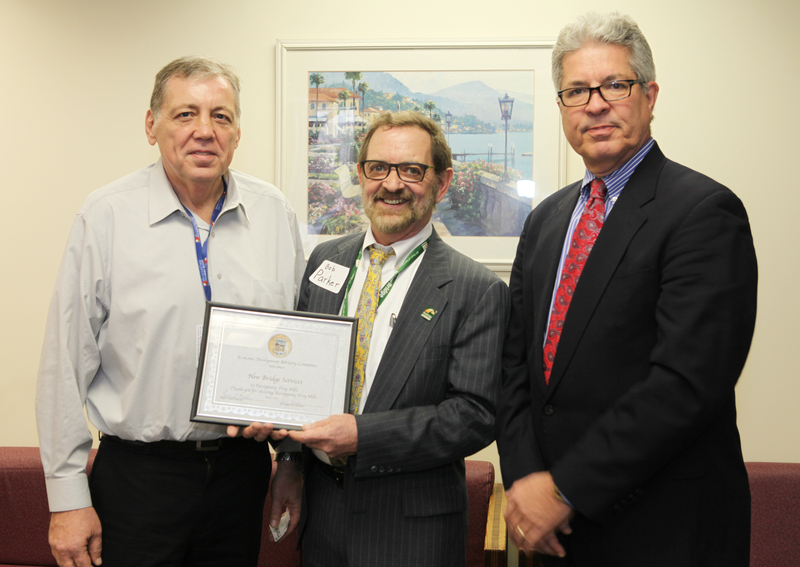 (left to right) Frank Cahill, of the Parsippany Chamber of Commerce, met with NewBridge CEO Robert Parker and Tom Williams, of the Parsippany Economic Development Committee. 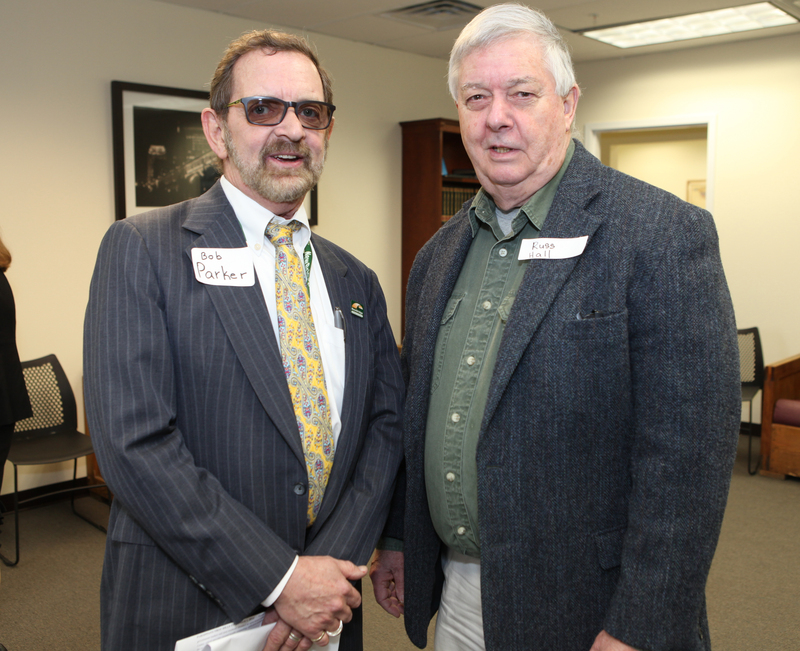 Robert Parker with Russ Hall, chair of the Housing Alliance of Morris County, at the NewBridge Parsippany Center open house. 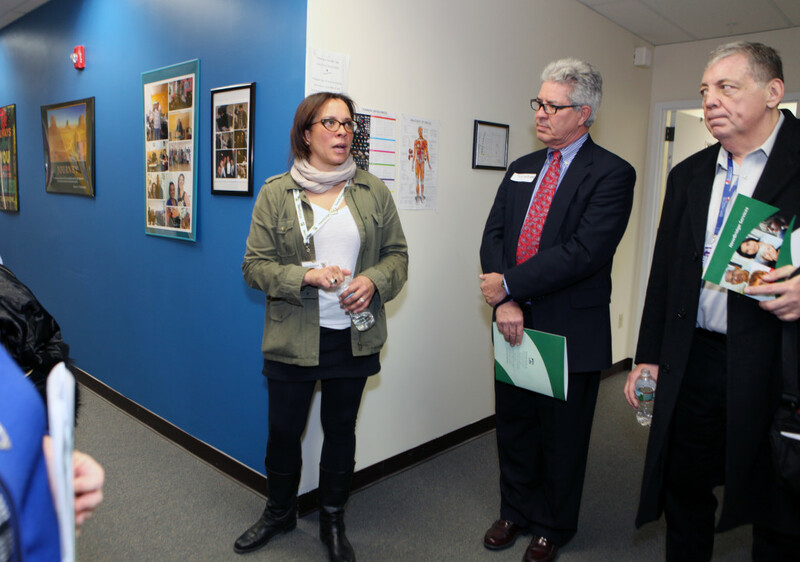 Amy Sheppard (center) gives a tour of the NewBridge Parsippany Center. Zufall Health’s Highlands Health Van was available for tours. Janice Christensen (left) and Keith German, both of Fulton Bank of New Jersey, present a check to NewBridge CEO Robert Parker. 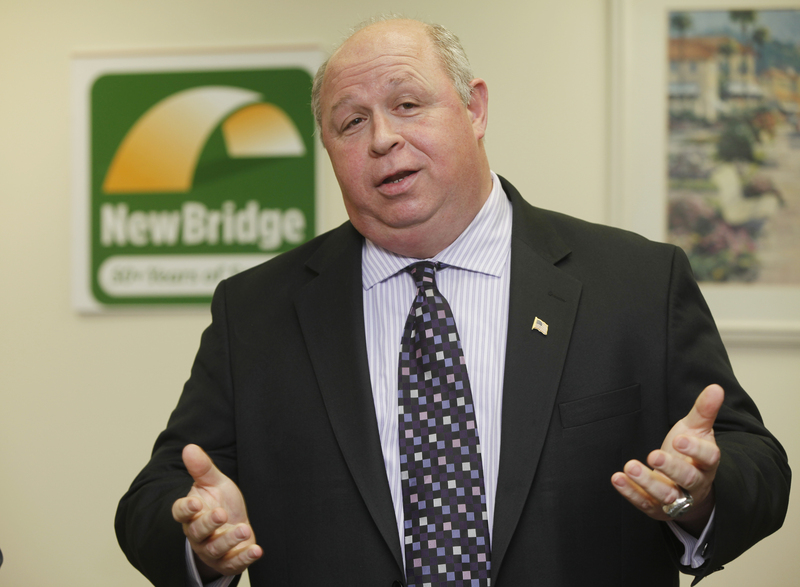 NewBridge CEO Robert Parker speaks at the NewBridge Parsippany Center open house. Zufall Health President and CEO Eva Turner speaks at the NewBridge Parsippany Center open house. Robert Parker listens as Morris County Freeholder Director Kathy DeFilippo speaks at NewBridge Parsippany Center open house. 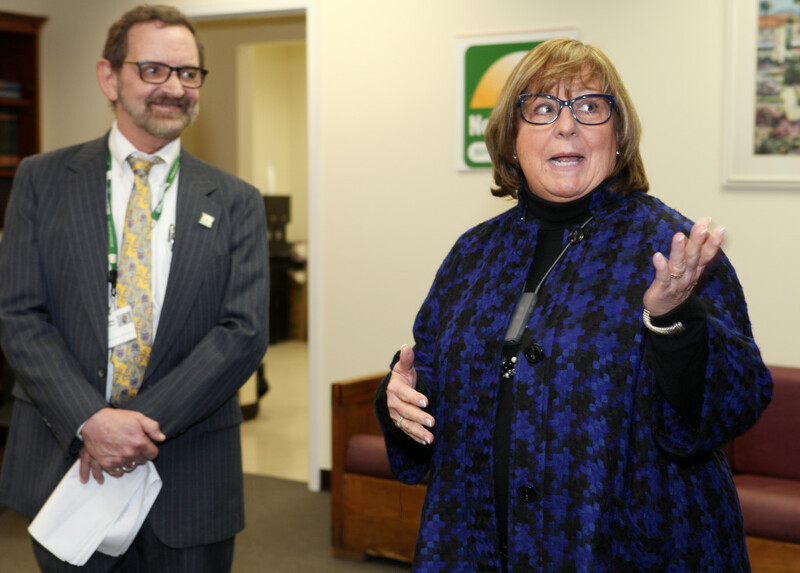 Robert Parker listens as Morris County Freeholder Director Kathy DeFilippo speaks at the NewBridge Parsippany Center open house. Robert Parker listens as Parsippany Mayor James R. Barberio speaks at the open house ceremony at NewBridge Parsippany Center. 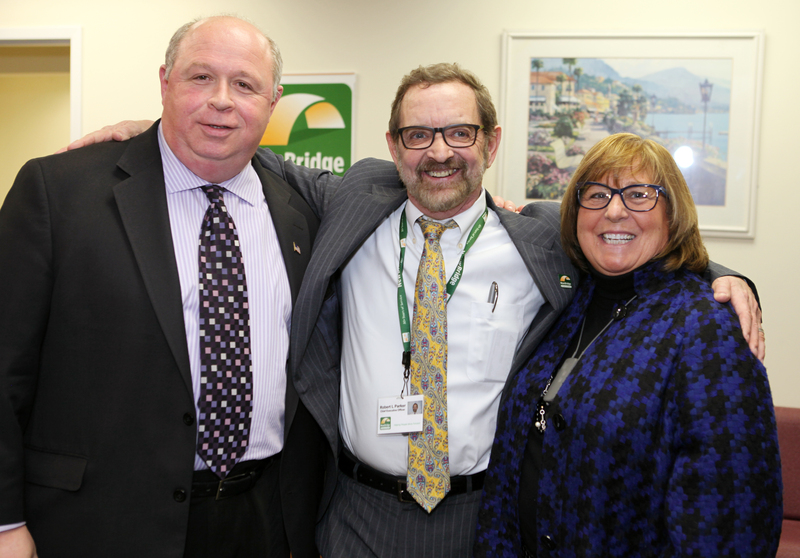 (left to right) Parsippany Mayor James R. Barberio, NewBridge CEO Robert Parker and Freeholder Director Kathy DeFillippo. 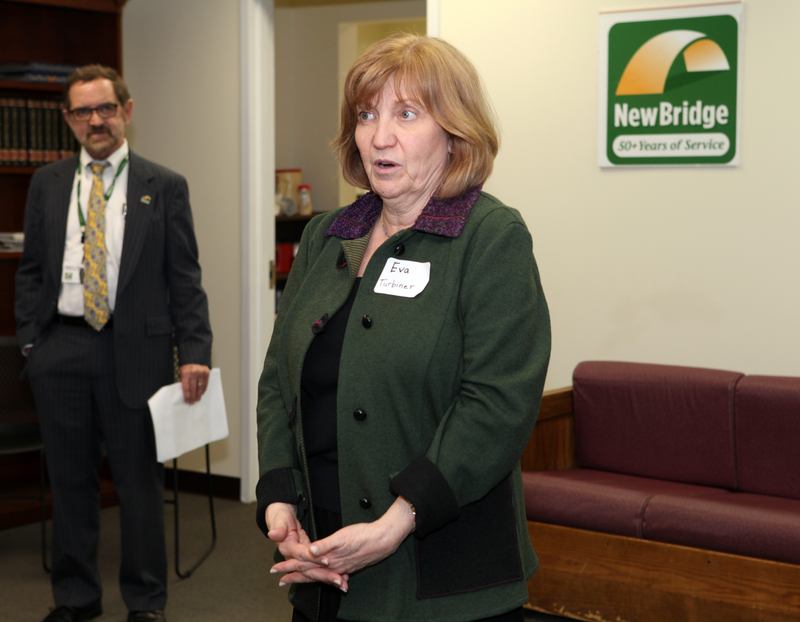 Morris County Freeholder Director Kathy DeFillippo gets a tour of the NewBridge Parsippany Center. Morris County Freeholder Director Kathy DeFillippo (center) gets a tour of the NewBridge Parsippany Center from Amy Sheppard (left) and CEO Robert Parker. 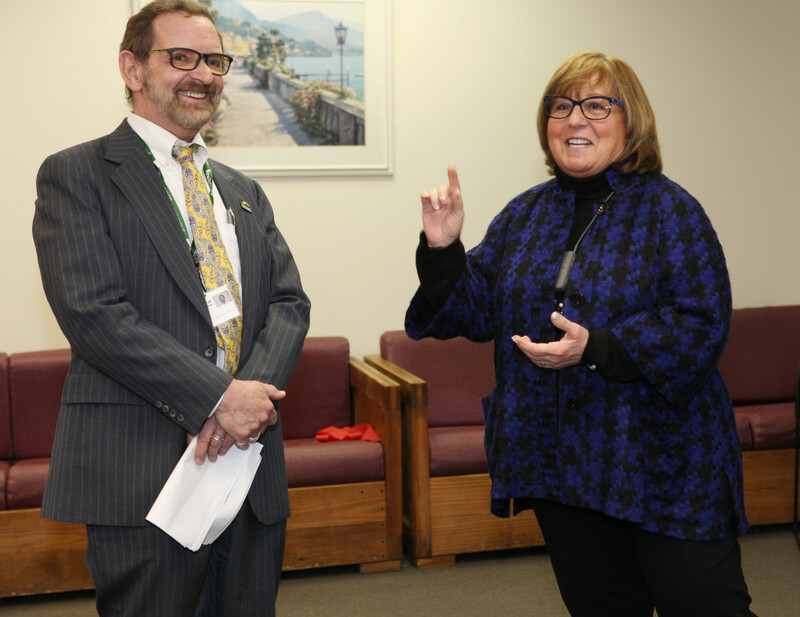 Health care professionals, government leaders and area residents attended an open house on March 1 at NewBridge Parsippany Center, which provides mental health counseling, addiction treatment and wellness programs to the community. NewBridge’s 15,320-square-foot center in the Troy Office Centre on Route 46 has 20 counseling rooms and spacious group therapy rooms. Located near routes 80 and 287, the center is also home to NewBridge Jobs Plus, a free program that has helped more than 1,000 young adults earn their high school diplomas and prepare for careers. 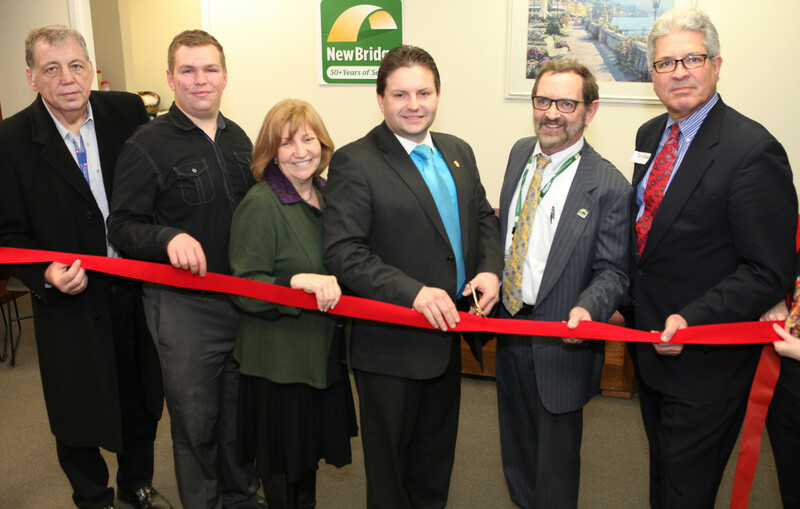 Parsippany Mayor James Barberio and Council Vice President Robert Peluso led a ribbon-cutting ceremony. 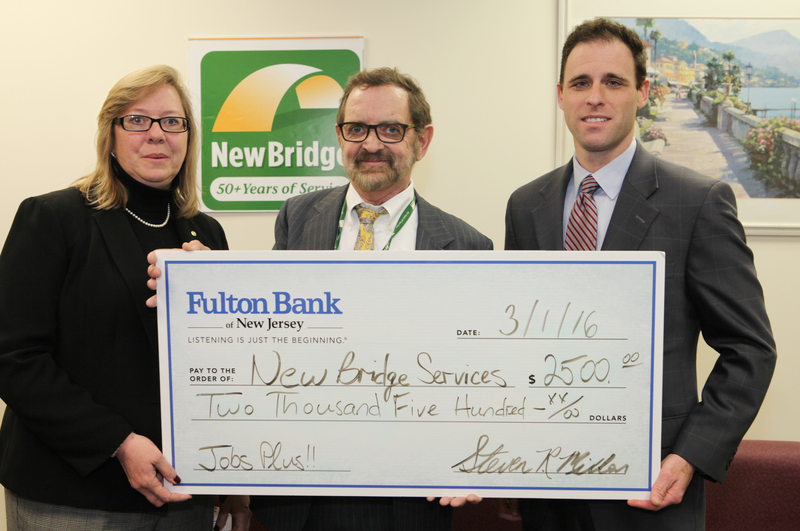 Fulton Bank of New Jersey, the event sponsor, donated $2,500 to NewBridge Jobs Plus. 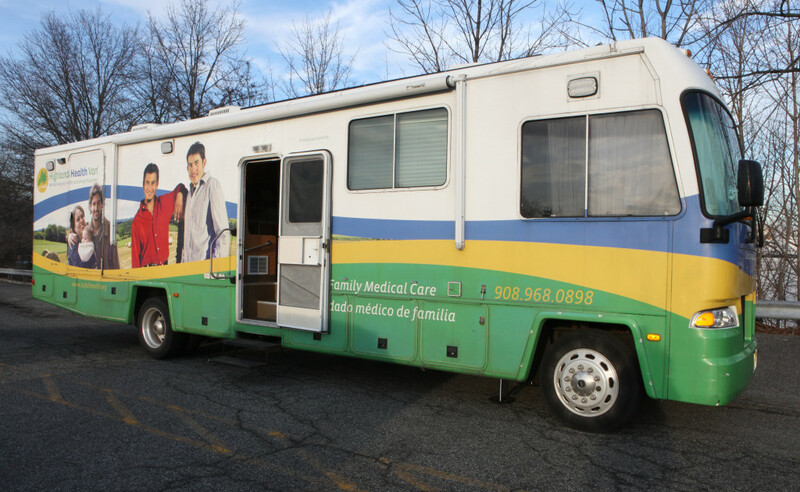 Guests had the opportunity to tour the center and Zufall Health’s Highlands Health Van, which visits NewBridge twice a month to provide medical care to Parsippany area residents, including NewBridge clients. 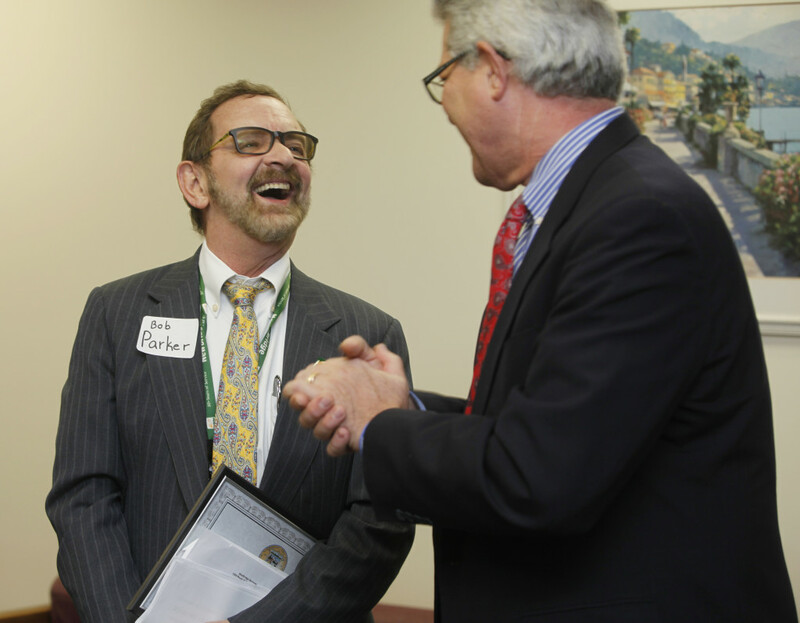 “True wellbeing requires a healthy body and a healthy mind, so NewBridge partnered with Zufall Health to provide affordable, quality medical care as well as behavioral health care,’’ Parker said. For more information about the services NewBridge offers throughout Morris, Passaic and Sussex counties, visit newbridge.org or call 973-316-9333.